And if Eastern philosophy is to be believed, the mind doesn’t exist, ergo, limits don’t exist. But let’s not go where we mortals have not gone (yet). 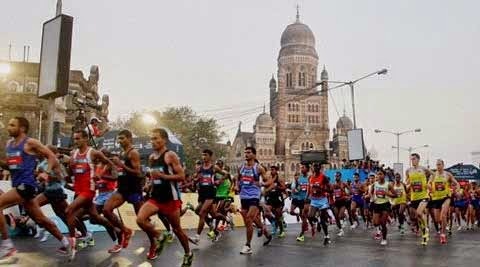 Just ask your Marathon running friends from yesterday’s Mumbai Marathon and they will vouch for the same, irrespective of age, gender or colour of blood. So let’s go ahead and FREE OUR MINDS, from fear, doubts, disbelief… and LIMITS! This entry was posted in Monday Morning Wake Up Call and tagged Free Your Mind, Limits, Mumbai Marathon on January 19, 2015 by sandeepdotburman.